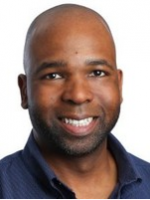 Akil Crawford is a Cyber Solutions Director at eGlobalTech, a management consulting and cybersecurity firm headquartered in Arlington, VA. Akil is responsible for the delivery of cyber services to the firm’s federal clients. He also leads the development of new capabilities and supports business development and capture efforts. Prior to joining eGlobalTech, Akil served as the Director of Data Security at Function1, a systems integrator, and Splunk’s first services partner. At Function1, Akil helped commercial customers to turn COTS products into complete cybersecurity solutions. In this role, Akil provided support to some of US’ largest credit card lenders, and one of the largest hedge funds in the world. In addition to this experience, Akil has supported several federal and state government clients in security operations and security compliance efforts. His technical background as a software engineer and product specialist have been invaluable to him as a security practitioner. Akil believes that security should be positioned as an enabler to an organization’s mission, rather than as an obstacle that must be overcome in order to serve the mission.